Can the 76ers bounce back in a big way after their disappointing Game 1 loss to the Brooklyn Nets? We'll find out on Monday evening as Game 2 gets underway between the Nets and Sixers at 8 p.m. ET. Falling into an 0-2 hole after two home games against the sixth seed might just cause the City of Philadelphia to riot, so it's imperative that the Sixers come out firing in Game 2. They'll need a better performance from Ben Simmons, Tobias Harris and JJ Redick in particular, as those three starters combined for just 8 points in Saturday's loss. The team will also need to improve from three-point range, after shooting just three-for-25 from behind the arc in Game 1. If you're a displaced Philly fan, you can still get your local Sixers news and analysis. 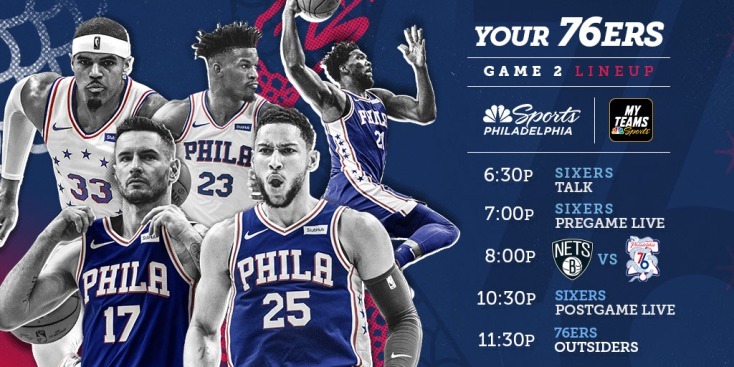 NBC Sports Gold Philly Pass provides out-of-market fans access to Sixers Pregame Live, Sixers Postgame Live, Sixers Outsiders and plenty of other great NBC Sports Philadelphia content. Access Philly Pass here.